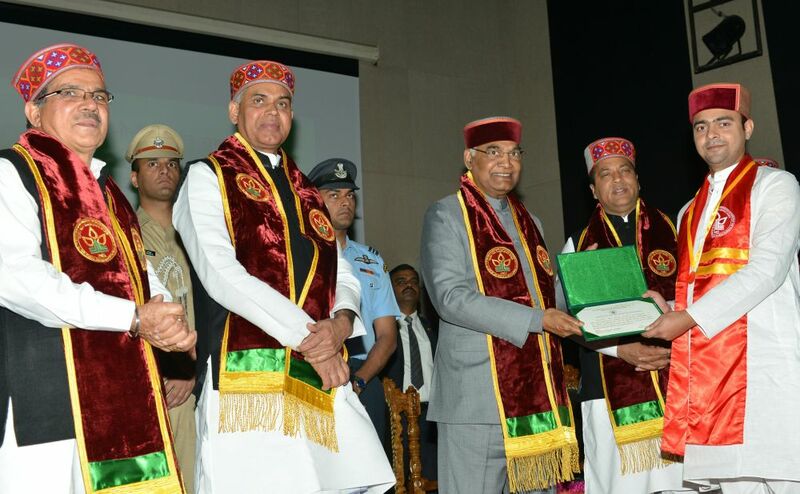 Nauni/Solan: President of India Ram Nath Kovind presided over the 9th Convocation of Dr Y.S. Parmar University of Horticulture and Forestry at Nauni in district Solan today. 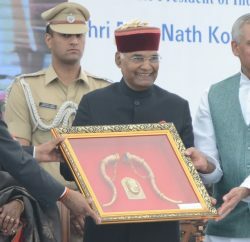 He was accompanied by Governor Acharya Devvrat and Chief Minister Jai Ram Thakur. The President presented Gold Medals to meritorious students on the occasion. He presented gold medals to Rajesh Kumar, Bharti, Neha Verma, Ankita, Chirag Bhatia, Kritika Sharma, Priyanka Chauhan, and Manvi Sharma. He also presented SP Dhull Gold Medal to Ankita. He congratulated all the students receiving gold medals and degrees on the occasion. Apart from the gold medals, degrees were also awarded to 462 students during the convocation. Governor Acharya Devvrat in his address, urged the students to always acknowledge the contribution of teachers in shaping their lives, since whatever they have achieved in their life was due to the education and knowledge imparted by their teachers. He said that since this University was the first Horticulture University of the country and the only horticulture university of the State, therefore the horticulturists have great expectations from the University. Acharya Devvrat said that research in the field of horticulture was the need of the hour to provide hybrid varieties of fruit plants to the farmers to increase their produce so that they could survive in the present era of cut throat competition. He also laid stress on maximum use of e-education and knowledge sharing in the field of horticulture for benefit of the horticulturists. He also urged the young scientists to work in close coordination with the farmers so that they could serve the nation in a befitting manner. The Governor awarded degrees to the students on the occasion. 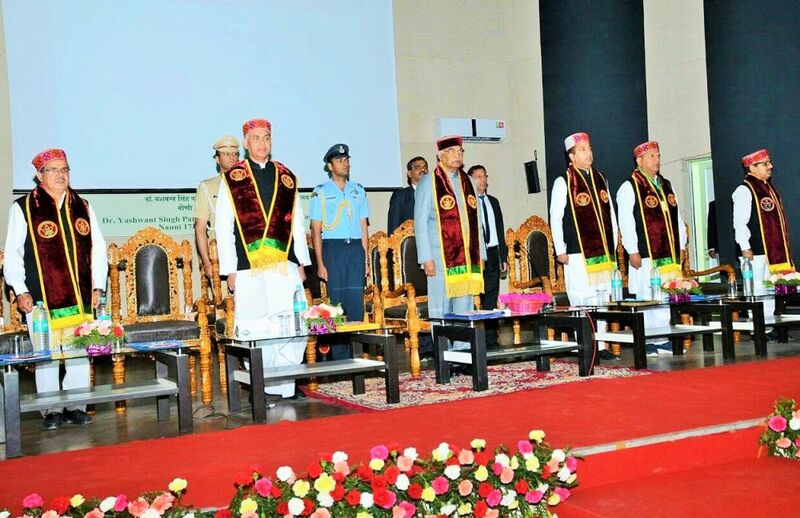 Speaking on the occasion, Chief Minister Jai Ram Thakur lauded the contribution of the University in producing best scientists and professionals for the State and the nation. 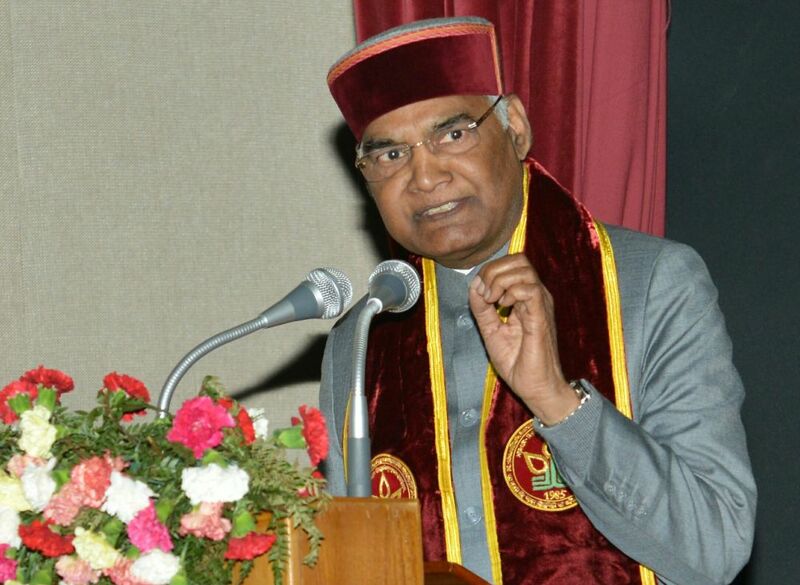 The students passing out from this university have earned name in various reputed institutes not only in India but throughout the world, he added. Chief Minister said that horticulture was playing a major role in strengthening the economy of the farmers of the State. This University was assisting the horticulturists and farmers in providing knowledge about latest technologies and inputs, he added. He said that the State was known as the ‘Apple State’ of the country. He stressed on better coordination between the scientists and farmers so that the State could earn a special name in production of fruits, vegetables, flowers and medicinal plants. This would not only help the farming community to increase their income but also in progress of the State, he added. He said that the State Government would provide all possible help for carrying out research in the field of horticulture, agriculture and forestry in the State. The Chief Minister urged the scientists of the University to take research to the farms for strengthening economy of the State. He urged the students to work towards the service of the society and ensure that their knowledge and research help in improving the socio-economic condition of farmers. 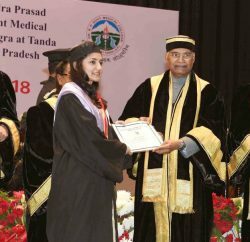 Vice-Chancellor of the University Dr H.C. Sharma welcomed the President and other dignitaries and also read out Annual report on the occasion. Deputy Director General (Education) Research and Extension Council, ICAR New Delhi Dr N.S. Rathore gave a discourse on ‘Higher Education in Agriculture’ on the occasion. Registrar of the University Rajesh Kumar presented vote of thanks. Speaker Vidhan Sabha Dr Rajiv Bindal, Social Justice and Empowerment Minister Dr Rajiv Saizal, MP Prof. Virender Kashyap, former Minister and MLA Col. Dhani Ram Shandil, Vice-Chancellor of Chaudhary Sarwan Kumar Himachal Pradesh Agriculture University Palampur Dr Ashok Kumar Sarpal, faculty members of the University were present on the occasion among others.